Teckningsmuseet (The Museum of Drawings), is located at Hästtorget, in the middle of Laholm’s town center. It is the only museum of drawings in the Nordics. The museum’s ambition is to highlight the art of drawing, and function as a forum for both new trends and historical flashbacks. The museum presents both temporary exhibitions from Nordic and international artists, as well as exhibitions from its own collection. The museum also arranges different workshops, lectures, concerts and other educational activities. There is also a café called Café Lagan in the middle of the museum plus a gift shop. The foundation “Teckningsmuseet i Laholm” was founded in the early 1990s by Laholm’s Municipality and Böllerupakademien (The Böllerup Academy) – an association of cultural active people in southern Halland. The Foundation Board is composed by three representatives from Laholm’s Municipality, three from Böllerupakademin and one member from Halland Art Museum. The foundation ran Teckningsmuseet until 2009. The chairmanship is appointed by Laholm’s Municipality. The foundation owns the museum’s art collection. During 2010-2012 Teckningsmuseet was driven by Halland Art Museum on behalf of Laholm’s Municipality. Since January 1, 2013, Teckningsmuseet is driven by Laholm’s Municipality. The board: Emma Rosendal (Chairman), Böllerupakademin, Kane Bengtsson, Laholm Municipality, Gunbritt Emilsson, Laholm Municipality, Anne Kjerstin Löfstedt Schulz, Laholm Municipality, Magnus Jensner, Halland Art Museum, Agneta Göthesson, Böllerupakademin, Hugo Palmsköld, Böllerupakademin. The museum has an active and important friendship organization: The friends of Teckningsmuseet. Teckningsmuseet’s history begins in 1979, when Björn Rosendal – artist, writer and physician from Laholm – got the idea to start an academy for all art forms. Two years later, on June 23 1981, Böllerupakademien (The Böllerup Academy) was founded. The name comes from the fact that Björn Rosendal lived in Bölarp, which during the Danish time was called Böllerup. In spring 1983, the idea of a museum for drawings was born. Drawing, the nerve in the visual art and sculpture’s history, needed attention. Together with the artist Hardy Strid and the musician Ingvar Neuman, Björn began collecting artworks for a future museum of drawings located in Laholm. The foundation “Laholm’s Drawing Museum” was established in 1992 with a board consisting of three representatives from Böllerupakademin, three from Laholm’s Municipality and one from the Museum of Halmstad. The composition of the board gave the municipality transparency in the work, apart from that the foundation was completely independent. Teckningsmuseet was assigned premises in the old Town Hall and opened on June 18, 1992. In October the same year a friendship organization was formed, which over the years had a significant impact on the business. In 2000 the museum changed its name to Teckningsmuseet i Laholm (The Museum of Drawings in Laholm). Over the years the collection of artworks grew and the museum became increasingly overcrowded. 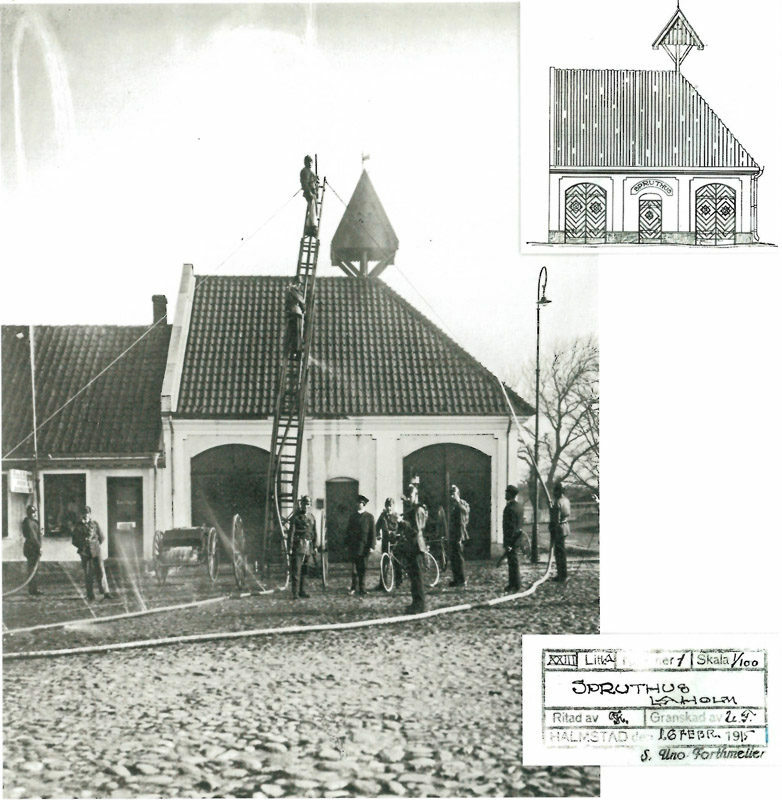 In 2004 the work began to rebuild Laholm’s old fire station into a museum of drawings, and on March 3, 2007, it opened. Until January 1, 2009, the museum was driven entirely by the foundation “Teckningsmuseet i Laholm”. After that Laholm Municipality took over before they gave mandate to Halland Art Museum, on January 1, 2010, to lead the business. From January 1, 2013, Teckningsmuseet is driven by Laholm Municipality again. On March 3, 2007, Teckningsmuseet’s new premises opened. Until then the museum had been housed in Laholm’s old Town Hall. However, over the years the collection of artworks grew and the museum became increasingly overcrowded. In 2003 the architect Jörgen Michelsens proposal to rebuild the old fire station into a new museum won. The proposal represented a carefully restoration of the old culture building from the 1910s, and also a modern and bright extension facing the river Lagan. The renovation of the fire station – with a entrance facing Hästtorget (a public square) – houses reception, shop and exhibition areas. In the building’s two floors there’s exhibition halls, a drawing studio and a café. The construction of the house has been done according to the so-called “Halland model”, which combines training in old craftsmanship with the conservation and restoration of cultural and historical buildings. The construction of Teckningsmuseet combined the Halland model with a project that aimed to increase the proportion of women in the construction industry. In total, 46 women got their practical training in carpentry and bricklaying here. Architect Jörgen Michelsen is working in a Nordic, humanistic and functional tradition with “cultivated simplicity” as main goal. He was born in Norway and studied architecture at Kunstakademiets School of Architecture in Copenhagen. After five years of work in Denmark, he went to Sweden, where he eventually established his architectural office in Helsingborg. Jörgen has designed schools, town halls, fire stations, libraries, homes and neighborhoods all the way from Kiruna in the north to Klagshamn in the south. In 2003 Laholm’s Municipality took over the privately runned Laholm’s Pottery Museum. 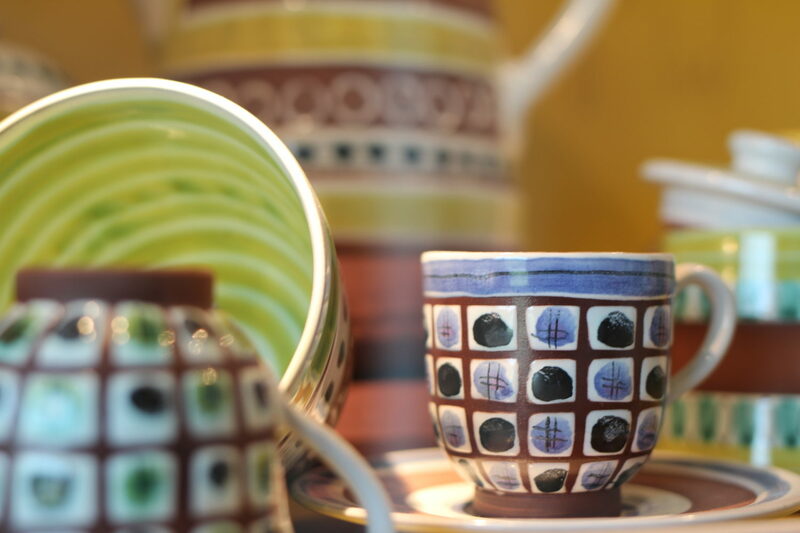 The collection was temporarily stored in anticipation of suitable showrooms, and on March 8 2008, Laholm’s Pottery Museum re-opened on Teckningsmuseet’s lower floor. The museum displays both a permanent exhibition focusing on pottery made in Laholm during the 1900s and also a small temporary exhibition on a particular theme. Larsdrejare, March 2 –May 19.